Arc welding is the core of our company. 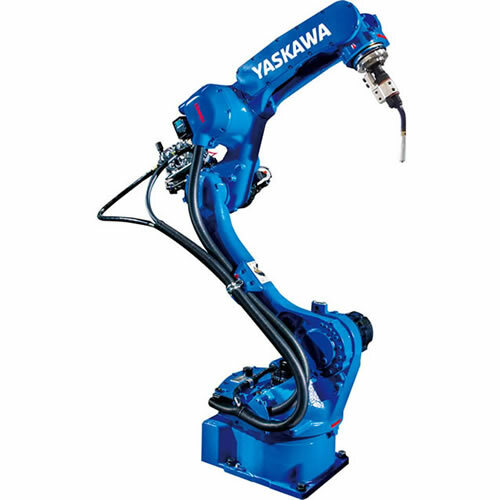 Over three decades, Yaskawa Motoman has developed more welding robots, sensors, software and positioners than any other company. Our welding process knowledge and path control leads the industry - resulting in expert support and robotic welding technology that tackles your biggest challenges. With our comprehensive line of arc welding robots, integrated power sources, torches and peripherals, and our extensive family of fully integrated ArcWorld welding cells, we provide building block solutions that are simple to integrate and operate. Fabricators looking into robotics don't have to give up the power to use their own source. 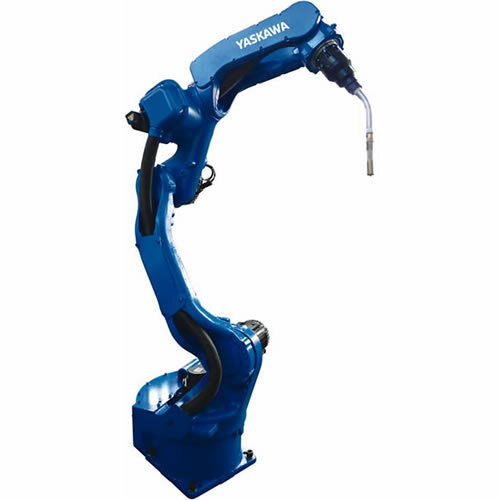 While other robot brands limit their compatible welding power supply options, Yaskawa Motoman provides high-level digital interfaces for the widest range of power source brands including Fronius, Miller, Lincoln Electric and SKS. With our integrated digital interface, the power source weld parameters can be monitored and adjusted directly from the robot programming pendant. Add flexibility with pre-engineered weld stations. Robotic welding solutions from Yaskawa Motoman have delivered game-changing results for clients of all sizes. We've enabled Tier 1 automotive suppliers to produce high-volume parts with unprecedented speed and efficiency. We've helped construction machinery manufacturers create their heaviest-duty parts with ease. And, we've equipped job shops with flexible, cost-effective solutions that adapt easily to shifting market needs. Whatever your requirements or challenges, we can configure the ideal solution. In most cases, a standard ArcWorld® workcell is a perfect fit. Whether you're producing small or large parts, prefer a process-to-part or part-to-process approach, or even need multiple robot control, Yaskawa Motoman has the solution. 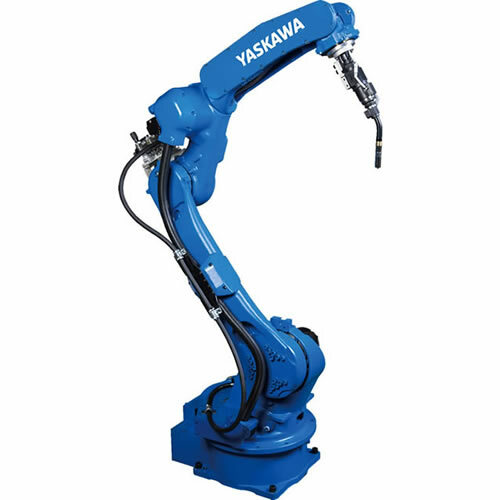 When the out-of-the box solutions don't meet your exact needs, Yaskawa Motoman can easily and affordably modify our prefabricated robotic welding cells to fit your specifications. 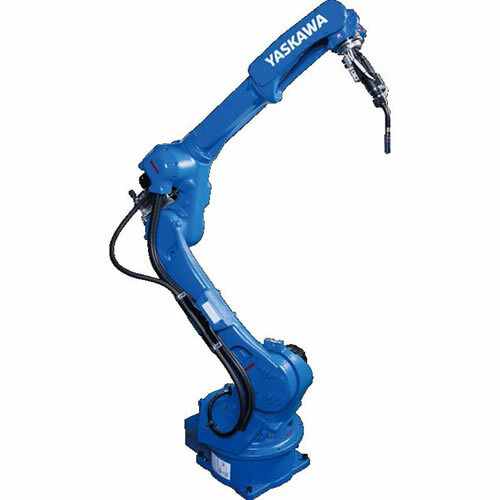 Yaskawa Motoman's team of Automation Engineers can incorporate turnkey systems to suit production requirements of varied industries. We specialize in robotic welding systems for manufacturers of large weldments, providing customized, low-risk configurations that deliver enhanced quality, productivity and ROI. Boost cycle time and save floorspace by adding multiple robots for multi-part or jigless welding in a single cell. 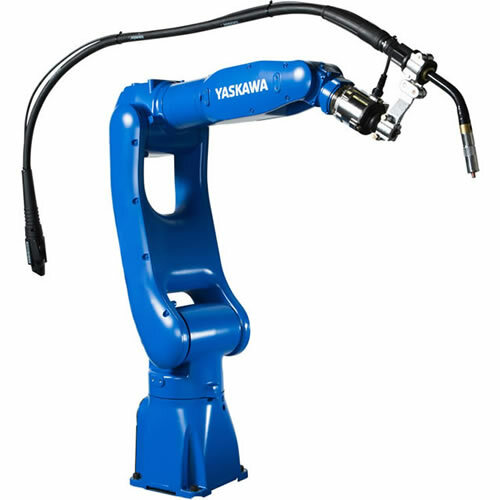 The integrated through-the-arm cabling in the MA-series robots improves weld accuracy, torch access and uptime. 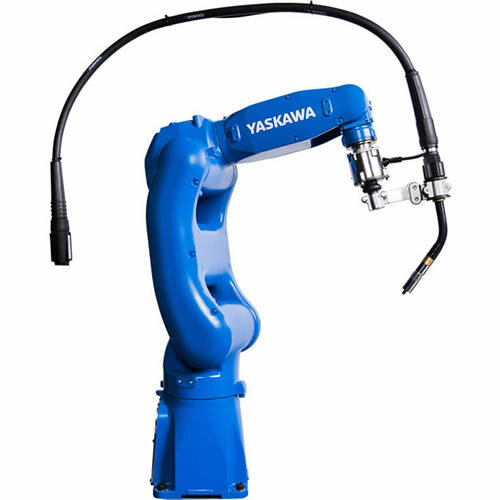 Yaskawa Motoman backs the performance of the MA-series arc welding robots with the industry's first two-year torch cable warranty. 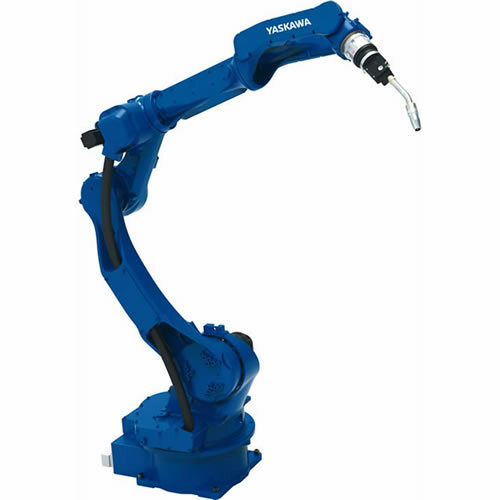 Yaskawa Motoman offers extended-reach welding robots including the MA3120 and AR2010 models. 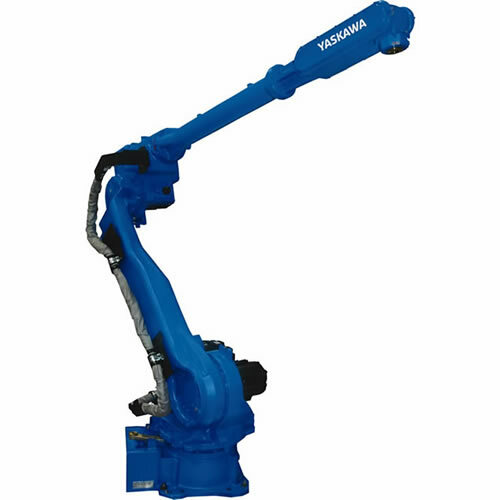 In response to our customers' needs for more efficient space utilization, we developed the first 7-axis robot welder - the VA1400. The flexibility of the VA1400 and VA1400 II arc welding robots reduces floorspace requirements and accommodates multiple welding robots in a single cell. The unique "elbow" axis of the welding arm reaches around tall parts, into boxy parts and other places an external axis would normally be needed. 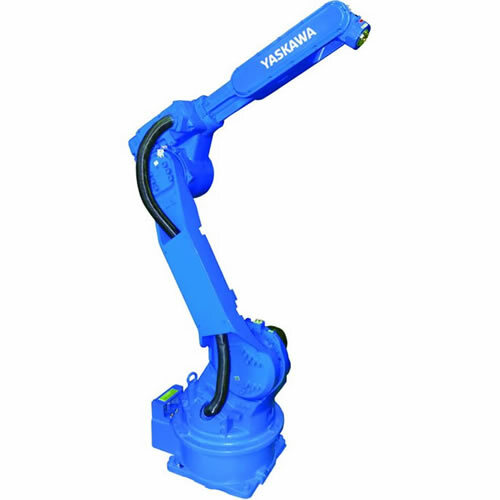 Yaskawa Motoman's ArcWorld robotic welding systems are pre-engineered, pre-assembled and shipped ready to weld - delivering the most flexible and cost-effective options to integrate robotics into your welding processes. 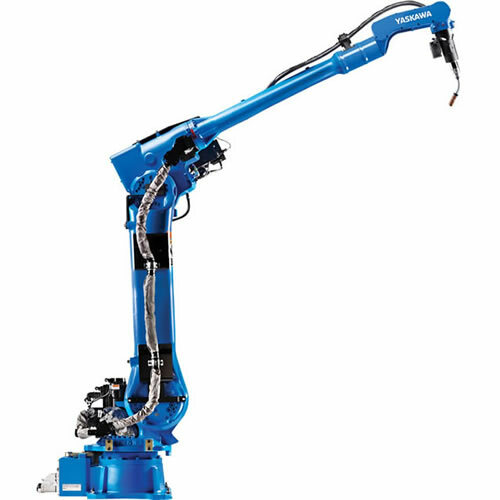 ArcWorlds can be configured with multiple robots, a heavy-duty positioner or servo-controlled external axes for coordinated motion. Basic workcell featuring a full-size MA1440 robot.This single station cell includes a welding table that can be customized with ergonomic part fixtures.The small footprint, space-efficient design is ideally suited to job shops needing flexibility for low volume fabrication. The ArcWorld C-series robotic welding systems feature an extremely compact footprint with fixed tooling or servo-driven headstock(s). These single-station or dual-station workcells provide affordable, wire-to-weld solutions for small- to medium-sized parts at high production volumes. These single or dual robot workcells are designed for high-volume production with small- to medium-sized parts. Provides affordable wire-to-weld solutions for medium to high volume welding applications on small to medium sized parts. When it comes to large parts and heavy-deposition welding, only a truly heavy-duty solution will suffice. Our large ArcWorld workcells deliver maximum power for performance on a whole new scale, without sacrificing safety features and ease of integration that characterize our smaller workcells. High robot utilization; parts can be loaded/unloaded at operator station while the robot processed parts internally. Functional Safety Unit (FSU) eliminates complex switches or a costly safety PLC. Trunnion positioner has servo motors on each station and main drive for rapid station indexing. Workcell is available in ultra space saving Slim-Line design or extra heavy duty model with 1,555 kg payload. Workcell can utilize up to 3 robots for HyperProductivity®. These workcells use up to 44% less workspace as robots are mounted overhead. Utilizing a high-speed turntable positioner and two or three robots for HyperProductivity, this workcell provides solutions for high-volume, high-performance welding applications. From our expert Y-Blog contributors. Which ArcWorld is Right for You? Make us your first stop on your next automation venture.